By TLex The ORIS Regulateur ‘Der Meistertaucher’ is back! New and improved and with a sleek new design based on the current AQUIS family. The 'Der Meistertaucher’ Regulateur is characterized by its prominent centralized red outlined minute hand that is accompanied by a decentralized hour display at 3 o’clock and sub-seconds at 9 o’clock. 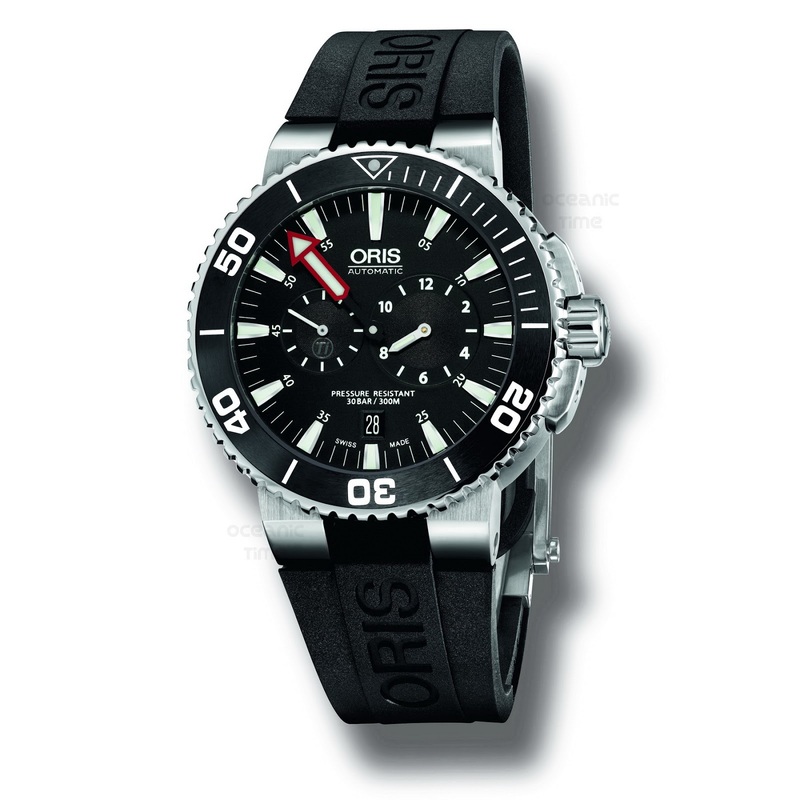 ORIS were the first watch manufacturer to introduce a divers watch with a Regulateur movement. It made perfect sense because the minute hand on a dive watch is critical to establishing elapsed dive time in combination with the divers bezel and as such could be quickly and easily distinguished from the hour hand. To improve readability the shape of the minute hand has been strengthened. The SuperLumiNova® inlay on the hands and indices is now white, allowing for enhanced visibility in even the murkiest of waters to ensure diver safety. The Titanium Aquis watch case measures 43.00mm Ø. It features a unidirectional rotational divers bezel with a dive-time scale embedded into a black ceramic inlay, an automatic Helium escape valve at 9 o’clock, a double domed Sapphire crystal with anti-reflective coating on its inside and a Stainless steel screwdown security crown with titanium crowns protectors. It has a water-resistance of 30 bar/300m. 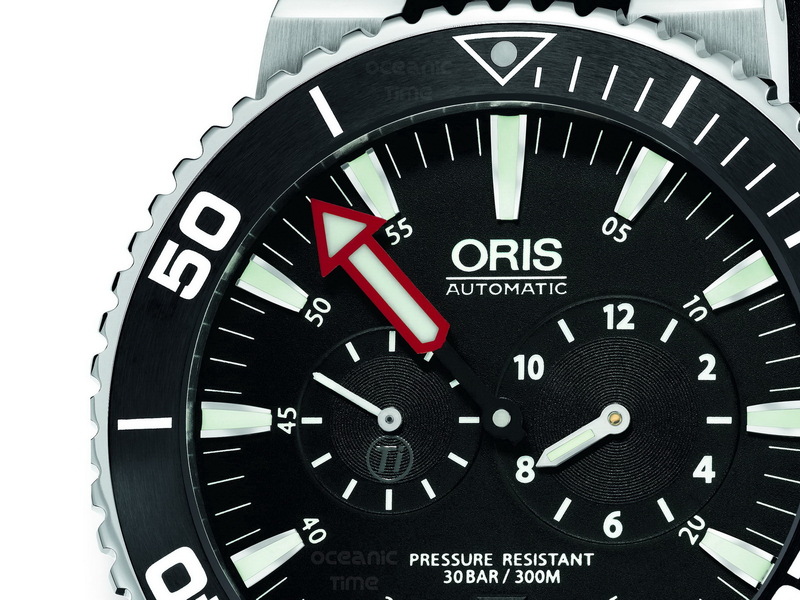 The new Der Meistertaucher is powered by an automatic mechanical movement, the Oris Cal. 749, based on Sellita SW 220. The watch comes on a black rubber divers strap with extendable titanium safety clasp. It is presented in a waterproof case along with a separate titanium bracelet and tools. Its Swiss retail price is 2900CHF. Read up on the new AQUIS Depth GAUGE . . .